IPL PhotoFacials reduce unwanted discoloration of the skin by eliminating pigmentation caused by sun damage, and the constriction of capillaries beneath the surface of the skin. 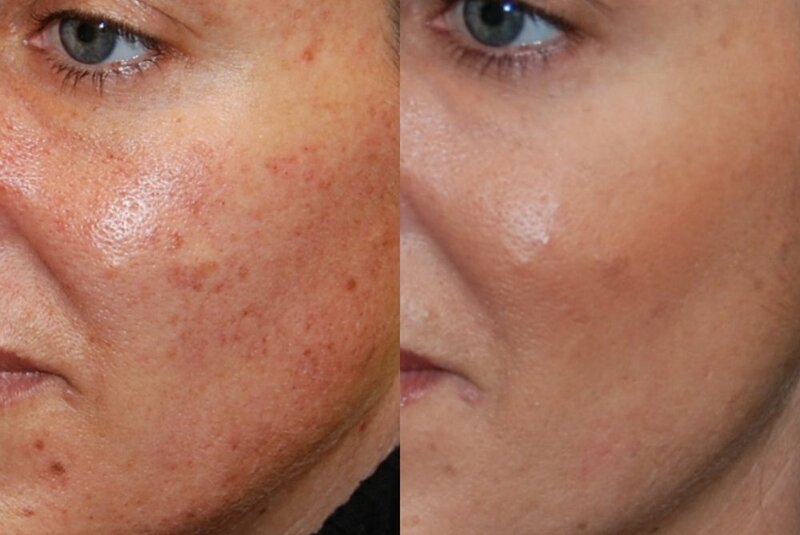 These painless procedures have no downtime, and you'll see visible reduction of brown spots and red discoloration gradually over the weeks following your treatments. The redness and flushing of rosacea can be reduced by 80-90% after several treatments. PhotoFacials are used to treat weathered and sun damaged areas on the chest, arms, neck, and back of the hands. Your results, and the reduction of brown discoloration and melasma may be improved when Dr. Josephs bleaching is used in combination with your PhotoFacials. If you're from New Jersey, New York area and are interested in gentle IPL PhotoFacial treatments to eliminate unwanted facial redness and brown spots, please Contact Us today.